Dream: I used to dream someone was chasing me to kill me. It was always a different scenario but same situation. I had a similar dream last night again. They never catch me. I always manage to get away. 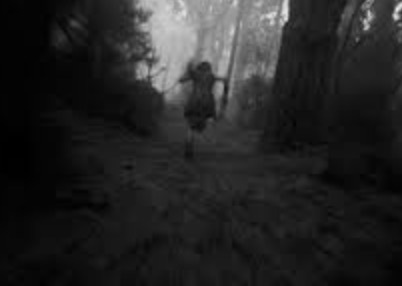 DreamsMaster: Being chased in a dream immediately raises the metaphorical question, what are you running away from? The dream often involves a sense of vulnerability and lack of control, and implies there’s something in your waking world or psyche that you’re trying hard to deny or ignore but is chasing you down. 1) To start, write the theme of the dream and underline key symbols. There was not much detail in the dream you submitted, so in this case it can be as basic as: I am feeling threatened by someone, but I manage to escape. – Did this person carry a weapon? If so, what was it? A gun? Knife? Do you have any personal associations to this particular type of weapon? – Where were you when you were being chased? Was there anything familiar about the setting? – What was on your mind when you went to bed last night? – Recall the feelings you had in the dream. Did you have any similar feelings like that yesterday or last night? 4) If you don’t already have one, start keeping a journal where you can track these recurring dreams. Each time you have the dream, write it out in as much detail as possible, and be sure to note what was on your mind or what occurred the day/night before. A trend will appear, which will shed light on the message your inner self is trying to send you. On a personal note, I used to have a similar recurring dream where I was being chased by unknown others threatening to kill me. One night while I was having this dream, in the midst of the chase the thought occurred: I’m going to die sooner or later. I’d prefer later than sooner, but if this is it, so be it. With that, I stopped running and calmly turned to face the pursuer, then gently awoke. Having faced my fear of death, I never had that dream again. And that calm acceptance of death stayed with me in the waking world, bringing a core sense of peace I had never before experienced.